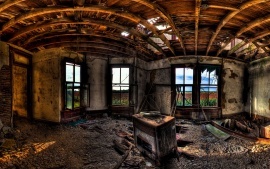 This entry was posted in Earth, Poetry and tagged abandoned, dark, forgotten, home, lonely, lost, old house, sad, shattered. Bookmark the permalink. Very nice. I could feel the past glory.